Brush the sweet potatoes with oil. Place on a baking tray lined with baking paper. Bake for approx. 45 mins. in the upper half of an oven preheated to 200°C. Remove from the oven and allow to cool a little. Cut open the sweet potatoes lengthwise but do not slice all the way through, season with salt. Place the potatoes on the foil, fill with the feta and tomatoes, drizzle with oil. 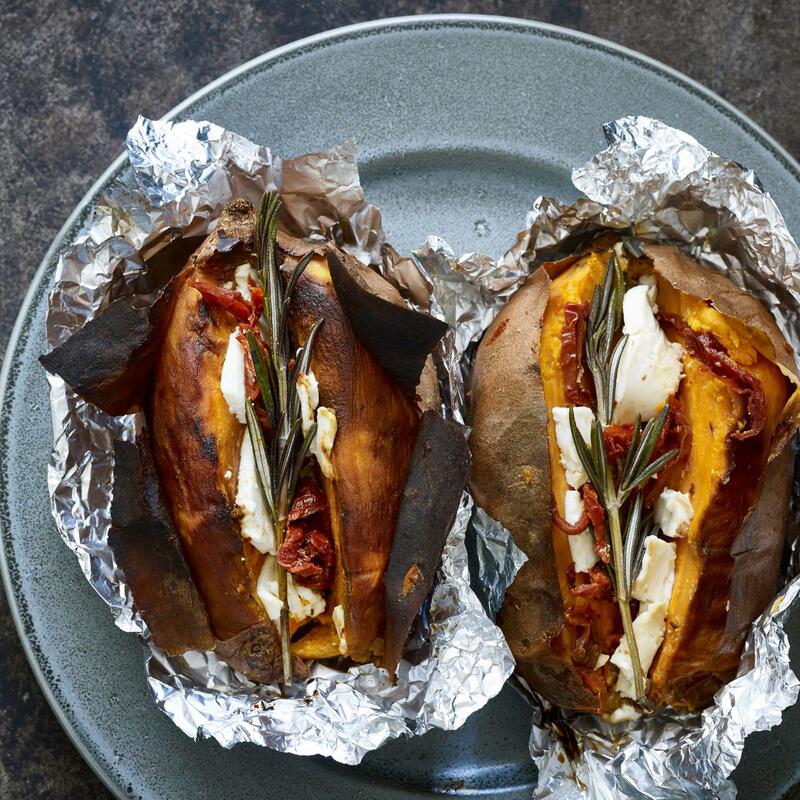 Place 1 sprig of rosemary on top of each potato, wrap in the foil. Charcoal/gas/electric grill: Cover and grill the potatoes over/on a low heat (approx. 150°C) for approx. 15 mins.